"Marriage made you family.......made you my daughter" says it all. 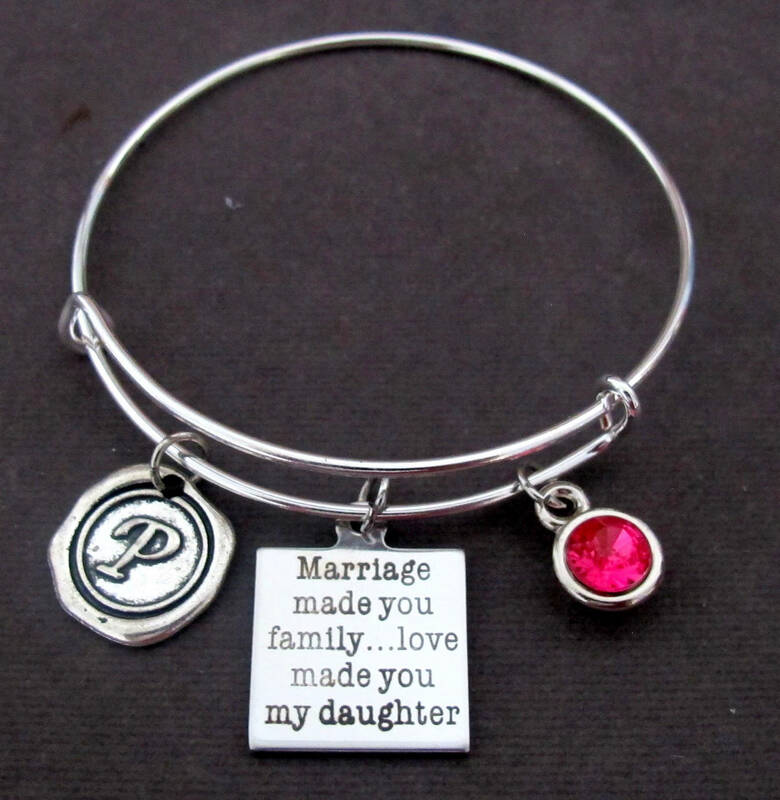 A very thoughtful gift for your daughter in law or Step daughter. A unique Personalized appreciative gift sure to be loved by the one who receives it. Gift from Mother in law or Step Mother. 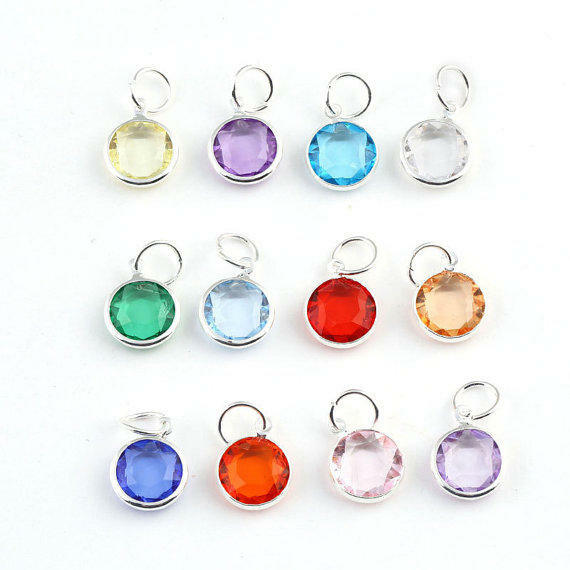 Please Choose Initial and Month for Birthstone from the drop down. Thank You and God Bless! My daughter absolutely loved this bracelet. A gift from my husband to her on our wedding day. Fantastic quality and fast shipping.